One other area of research that might not make sense to some is my excursion into research on regional development from 1990-2005. This work occurred in parallel to my language research and was an outgrowth of undergraduate and postgraduate work in urban geography, technology diffusion and economics which I did not explore until I served as Pro Vice-chancellor at UWS. There was a natural synergy between the needs of Western Sydney, my early interest in urban geography and my role at the University. This led me tocreate a research centre as the focus of this work – Centre for Regional Research & Innovation (CRRI). Over the last 30 years I have had 32 funded research projects to a value of over $3,000,000, 25 of these as chief investigator, and 20 of which were external competitive grants from various competitive grants schemes. A selection of my most recent major grants follow under two headings – Language Research, Regional Development. Mooney, M., Cairney, T.H., Beattie, G., Marshall, A., Forrester, L. (1990) Marking the landscape: youth in search of identity. Project funded by the Australia Council to explore the place of the arts for youth in the Western Suburbs of Sydney. Cairney, T.H. (1990-1991) Talk to a Literacy Learner. This project was funded by the NSW Ministry of Education, Women’s and Youth Affairs as part of its International Literacy Year grants scheme. Funding of $85,000. Cairney, T.H., Craigie, D., Dinham, S. Khamis, M. & Wilson, S. (1991-1992) Comprehensive High Schools: The school and community interface. This project was funded by the NSW Department of School education. Funding of $40,000 provided. Cairney, T.H. & Lowe, K. (1991-1992) Literacy and Youth: Extending Literacy Success Beyond Institutional Care . Funding OF $40.767 was provided as part of the Australian Language and Literacy Policy National Adult Literacy Projects competitive grants scheme to explore the impact of literacy on the lives of youth in detention. Cairney, T.H. & Munsie, L. (1992) Effective Partners in Secondary Literacy Learning (EPISLL). The project was a collaborative project with Shalvey High School to explore parent involvement in their children’s learning. Funding was provided by the Disadvantaged Schools Programme, $39,500. Cairney, T.H. & Lowe, K. (1993-1994) Literacy in Transition. This project was funded as part of the 1993-1994 DEET projects of National Significance to research the impact on learning of the transition between primary and secondary school. Funding of $105,928 was provided. Cairney, T.H. (1993-1998) NSW Literacy & ESL Research Network. Funding was made available by the ARC (Key Centres Program) and Department of Employment Education Training and Youth Affairs, under the National Languages and Literacy Institute of Australia. Funding of $174,000 for six years (1993-1998). Cairney, T.H., L. Munsie & Lowe, K. (1994-95) Developing partnerships: The home, school and community interface. Department of Employment Education & Training funding of $142,015. Toomey, D., Cairney, T.H., McKenna, R. & Alfred, I. (1994-95) Intergenerational literacy. Funding of $73,000 provided by Department of Employment Education & Training. Louden, W., Meiers, M. & Cairney, T.H. (2001-2004) Effective Teaching and Learning Practices Leading to Improved Literacy Outcomes in the Early Years of Schooling. Funding of $658,402 from the Department of Education Training & Youth Affairs. Cairney, T.H. (2010-). The reading behaviour of readers aged 4-8 years when encountering ePicture Books. Cairney, T.H. (1999) Audit of IT in Greater Western Sydney. Funding of $60,000 was provided by Department of Employment Workplace Relations and Small Business (DEWRSB). Cairney, T.H. 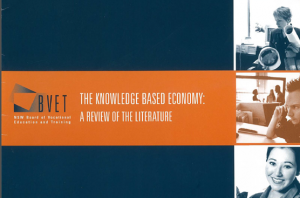 (2000-2001) The changing nature of work and the emergence of the knowledge-based economy: The implications for vocational education and training of the demands of the emerging knowledge-based economy. Funding of $159,200 provided by the NSW Board of Vocational Education & Training. Cairney, T.H. (2000-2001) Implementing a High Performance Computing strategy for Greater Western Sydney. Funding of $198,000 provided by Department of Employment Workplace Relations and Small Business (DEWRSB). Golding, B. & Cairney, T.H (2000-2001) Tertiary work tracks: improving the transition of Indigenous tertiary students to employment. Funding of $54,000 provided by the Department of Employment, Workplace Relations and Small Business (DEWRSB). Cairney, T.H. & Artup, B. (2001). Crime and safety in Outer Western Sydney. Funding of $41,000 provided by Penrith City Council. Cairney, T.H. & Artup, B. (2001) Assessment of Youth Commitment by government in South West Sydney. Funding of $18,000 provided by Macarthur Regional Organisation of Councils. Cairney, T.H., Lee, R. & Artup, B. (2002). Understanding the information communication and technology needs of the Hunter and Central Coast regions. Funding of $89,000 provided by NSW Department of Information Technology & Management. Cairney, T.H. & Clarke, G. (2003). CASE Online: Applying Christian frameworks to the world. Funding of $7,500 from The Anglican Church of Australia. Competitive External Grant. Louden, W., Meiers, M. & Cairney, T.H. (2001-2004) Effective Teaching and Learning Practices Leading to Improved Literacy Outcomes in the Early Years of Schooling. DETYA National Children’s Literacy Project, $658,402. Competitive External Grant.